Emmanuel welcomes all new students, both residents and commuters, on one of the most exciting days of the year! New residential students will move onto campus from 8am-4pm, and more information about the process and individual move-in times will be sent to students via e-mail. 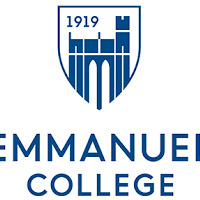 In the afternoon and evening, events for all new students and their families will be held to celebrate the beginning of their Emmanuel experience. See individual calendar events for more details!